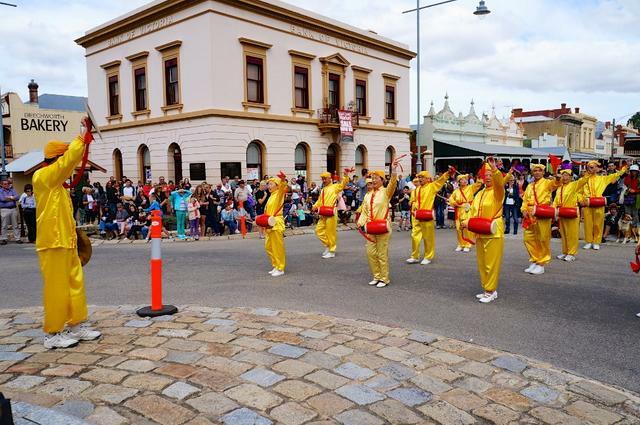 Falun Dafa practitioners from Melbourne traveled to the country town of Beechworth on Saturday March 30th to participate in the town’s Easter Saturday parade and festivities. Well known for its bakery and local honey, Beechworth, with a population of around 3,700, is located in northeast Victoria, roughly 285km from Melbourne. 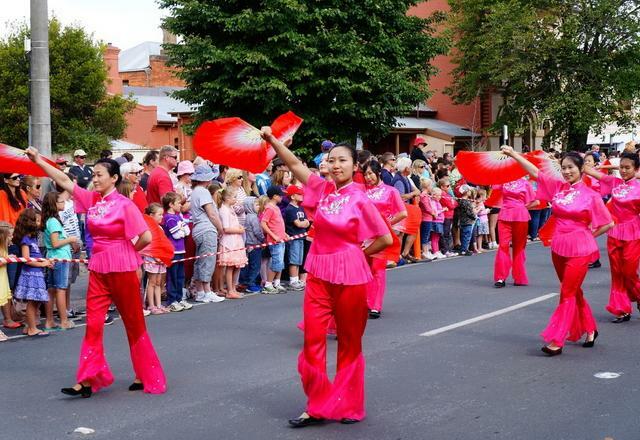 Each Easter Saturday, Beechworth hosts an annual parade that showcases community groups, schools, and local organizations. Over the long Easter weekend, up to 20,000 people were estimated to have attended the festivities. 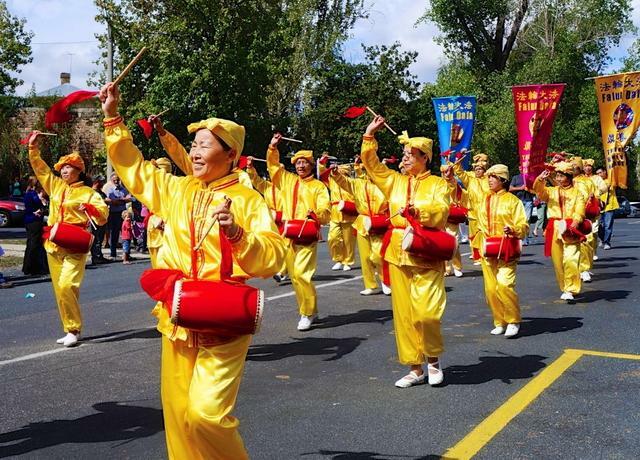 Among the 65 Falun Dafa practitioners who participated in the Easter Saturday parade were the waist drummers and fan dancers who also gave their own individual performances to delight crowds. 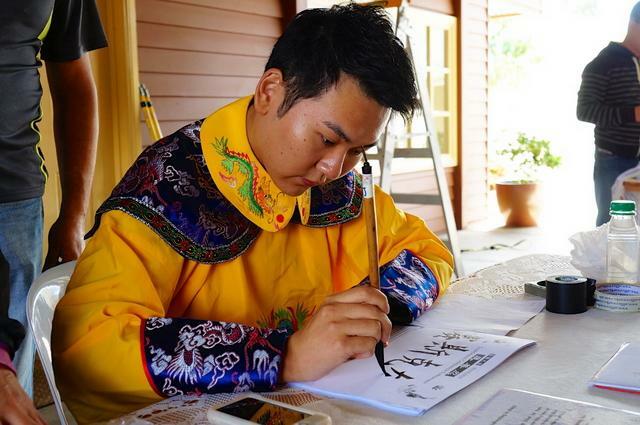 Practitioners also hosted a lotus flower paper-folding workshop and demonstrated calligraphy and the Falun Dafa exercises at the event. 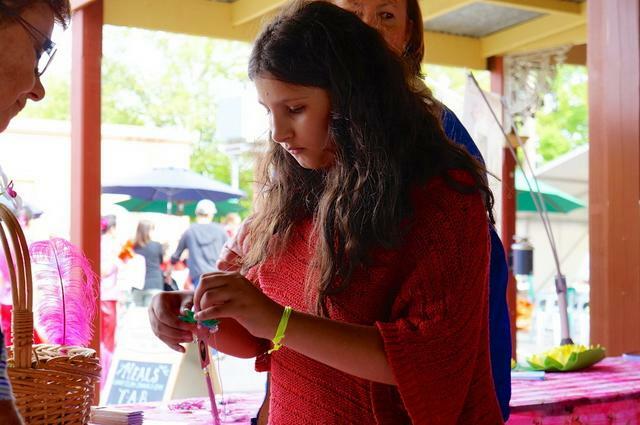 Overall a nice sunny day with many smiling faces, it was a fantastic day for everyone in Beechworth.